Although their official statement for this change is to “[bring us] a more seamless experience” on Reddit, I have a feeling there’s a more practical reason behind Reddit’s change. You see, Imgur started as a humble image hosting service to meet Reddit’s image sharing needs in early 2009. 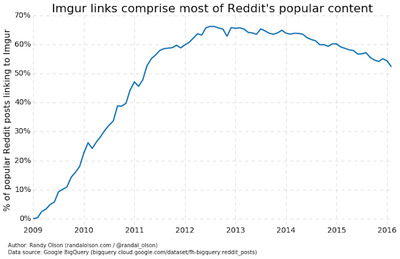 Nowadays, well over half of Reddit’s popular content links to Imgur, causing Imgur to become one of the top 50 most-visited web sites on the Internet (according to Alexa). Imgur has now grown into a full-fledged online community focused on image sharing, and is arguably a direct competitor to Reddit. In a sense, Imgur has gotten too big for its britches, and it’s probably too risky for Reddit to continue relying on a direct competitor for image hosting. Combine these observations with Imgur’s recent aggressive monetisation campaign — link-jacking direct image links on mobile devices to display ads, for example — and it’s really no surprise that Reddit wants an in-house image hosting service to supplant Imgur. Until Reddit makes an official statement, all we can do is speculate … but this explanation makes sense to me. On the bright side, Reddit seems to be growing beyond Imgur. 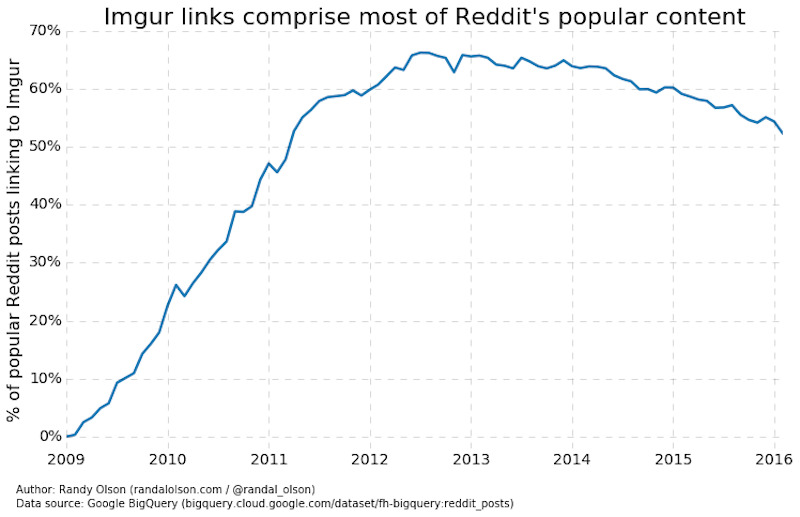 While the number of popular Imgur links seems to have stagnated in 2015, we’re seeing more and more popular Reddit posts including self-posts, links to other sites, and even other image hosts. 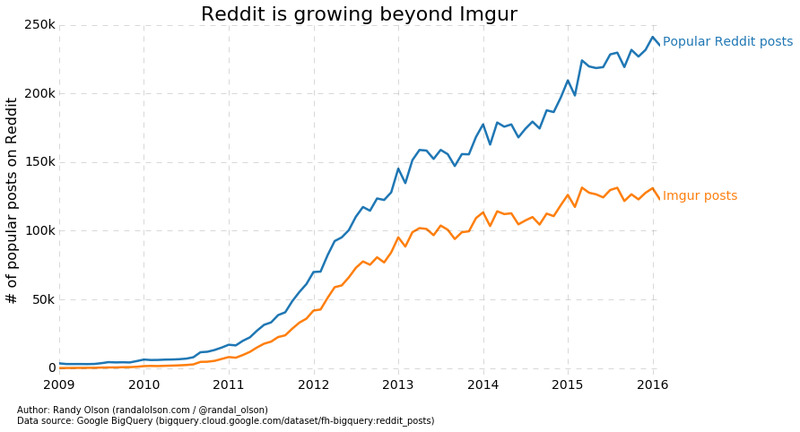 We’ll have to check back in a few months to see how well Reddit’s new image hosting service takes off.